Eating well is Jiu-Jitsu: The power of coconut oil. After some time available in the market, the coconut oil is gathering more and more fans, due to its numerous health benefits. Earlier, this oil would be only found in some specialized natural products stores. Nowadays, it can be easily bought in any market, becoming a daily product for anyone who is looking for a healthier life-style. But why should we talk about that oil in our website? Because it is something beneficial. And when we hear about something beneficial to our health, we look for it, study it, and share what we find. 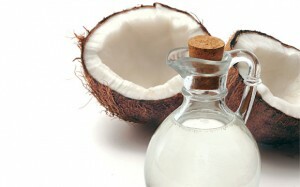 Below you will learn a bit more about coconut oil and its benefits to our health. After all, eating well is health. Eating well is Jiu-Jitsu. Coconut oil is a kind of oil extracted from the coconut, being basically the pulp of this fruit, which is processed and refined. It is not such a big mystery, right? But what about its benefits? Well… there are many of them. ANTIOXIDANT Action - It helps to reduce the production of free radicals. This is especially due to the direct action of Vitamin E, present in this oil, making it beneficial reducing this stress on the body. CHOLESTEROL - It helps to reduce the “bad” CHOLESTEROL – LDL, promoting the increase of the “good” CHOLESTEROL – HDL levels, contributing, this way, to prevent cerebral and cardiovascular diseases. It helps to LOSE WEIGHT - Being an easy-absorption food, and a source of MEDIUM CHAIN TRIGLYCERIDES (MCT), it is rapidly converted in energy instead of being converted to fat in the body. It is considered a “thermogenic” food. Besides this, it stimulates the thyroid, increasing the basal metabolism. It improves the IMMUNE system - acting to prevent and combat WORMS, BACTERIA AND FUNGUS, since it has a high concentration of Lauric Acid, which enhances nutrient absorption, increasing the body’s defenses. It improves the THYROID functions - mobilizing the bad CHOLESTEROL – LDL, through an enzymatic process, and produces anti-aging hormones and prevents some diseases related to that. COSMETIC Action - It can be applied every day on the skin, or even on the hair as a “natural conditioner.” Besides hydrating the skin and not having free radicals, it prevents wrinkles. It inhibits the skin bacteria proliferation, including those responsible for acne, being used for massages and skin treatments. DERMATOLOGIC action - Besides the bactericidal effect on the skin, it may be used as a cicatrizing agent on wounds and insect bites, to relieve burns and, more than that, in herpes and candidiasis treatment. DIABETES - It helps to keep the insulin levels stable in the blood, providing a higher satiation feeling. Being easily absorbed, it does not stimulate the insulin release, contributing to reduce the carbohydrates and sugar compulsion. Chronic fatigue and Fibromyalgia - It acts to neutralize a number of infectious agents responsible for these diseases. It improves the immune system, accelerates the metabolism, recover full energy, and eliminates STRESS. WARNING: This is a high caloric food and must be consumed moderately. The ideal is to have 1 tablespoon of coconut oil. More than that would exceed the daily recommended ingestion of saturated fat. How to use the coconut oil? The coconut oil can be used to season hot plates, adding a smooth flavor and aroma to meals like rice and fish. The extra virgin coconut oil can be used as a salad seasoning. This oil can also be used when preparing cakes and pies. It can be mixed in yogurts, juices or smoothies. Adding it to your beverages will give them a zest of coconut. This article has only an informative purpose and is not intended to replace professional guidance. The use of vitamins and supplements can offer you great results, but before using any product, we strongly recommend you to visit a Nutritionist, Doctor or another specialist for an analysis and follow-up. Since 50% of your training time in jiu-jitsu you will be working from the bottom, your guard is super important. The sophistication of the guard position is the most significant difference between jiu-jitsu and the other world grappling arts. Having a great guard game is partly about having an arsenal of submissions but there are also the additional factors of guard retention and replacement. That is to say your ability to move and counter your opponent’s passing attempts. This is an underappreciated aspect of having a strong guard. Your instructor can teach you the various different styles of guard and the key techniques from each. “The right tool for the right job” means that you need to use different guard styles depending on the range of your opponent. Example : Butterfly guard would be effective to deal with a close passing opponent while De la Riva guard would be better to deal with a standing passer. There are a few guard position principles that Black belts have shared with me that were helpful in tying those techniques together into an effective guard game. If you can immediately start to threaten the passer with a sweep or break the posture or control the elbow for an arm bar, the passer must immediately stop their pass attempt and defend your attack. When the passer is constantly defending one attack after another attack, they have little opportunity to start their own offence. When you can establish the grips that you want, you have an advantage in controlling your opponent. Ideally, those favorite grips ex. Spider guard sleeve grips lead directly to your most dangerous triangle submission attack. On the other side of the grip battle, denying your opponent’s passing grips is a skill that we witness in high level competition by the guard player. How often during a roll have you heard your instructor shout “Move your hips!”? Too many times to count! The ability to manage the space between the guard player and the passer is every bit as important as whatever grips you may get. Watch a black belt roll and observe how often they make adjustments to position by moving the hips from one side to the other. We are accustomed to using our arms to perform most of our tasks in daily life and we must learn how to use our legs and hips. This is why performing various drills (like shrimps and hip escapes) are so important early in our jiu-jitsu training. Lastly, focus some if your training time on guard retention and replacement movements. This is a hugely important yet often neglected part of having a great guard. This is one of my favorite questions to ask students of jiu-jitsu. Some students scratch their heads and are not sure how to answer. What aspect of your jiu-jitsu are you focusing on improving at this particular time in your training. When one first starts training jiu-jitsu you just attend class and learn whatever the instructor is teaching as part of the Gracie Barra curriculum that week. After a period of months you are more familiar with the basic positions and have identified some favorite movements and areas that you are lacking technique. Now you have a specific focus when you approach drilling and rolling. Unless you are a jiu-jitsu progidy, it is going to take longer than just seeing a move once in class and then feeling like you got it down. Truth is that you are going to have to string several consecutive sessions together of drilling and trying to use the technique in live training before you have much hope of that technique getting into your muscle memory. The quickest way to get those great moves into your muscle memory is to approach each class with intentionality. That is to say you have a specific focus and goals for each training session. Keep that same focus for a group of sessions before switching to a different position. Here are 3 things that I focused on.for significant periods in my time at different belts. White Belt – My focus was on getting 2 solid techniques from each of the major ground positions. I needed to build my vocabulary of techniques so I knew what to do in every ground situation. I needed to teach my body how to perform the mechanics of each technique properly and efficiently. I experimented with and discarded many different styles of guard and passing to see what did and did not work for me. Once I picked a few positions that seemed to work for me, I worked on assembling the pieces into a game. I went deeper into the knee on.the belly position, hand on the collar closed and open guard and my inside trip in stand up. I performed hundreds of repetitions of these techniques in my training and built my A Game around them. I decided it was time to correct the holes in my game. Areas like guard retention, escaping side and back control, defending the turtle became the focus. In order to have the confidence to use all the different submission attacks, one must have confidence in your defense. If you try a submission and miss it you may lose your dominant position. Not having confidence in your escapes makes you conservative in your jiu-jitsu. Once I had confidence in my defense, it really freed up all the rest of my jiu-jitsu. Most of my rolls I would start with my opponents in dominant positions and it was my job to fight out of it. Looking at the totality of jiu-jitsu techniques it occurred to me that black belt level jiu-jitsu was not a matter of knowing a vast number of moves but in the high level mastery of the basic techniques. Those techniques that we all learned our 1st year of training BUT performed with black belt level.of detail, precision and timing. Inspired by Roger Gracie I revisited the basic cross collar choke from mount, rear naked choke from the back and the Bullfighter guard pass. All moves that you already know. But adding in.the setups, combinations and details that made it a black belt technique! What are YOU working on in your jiu-jitsu? How much can jiu-jitsu change your life? Most people entering the gentle art have no idea how much this sport can help them to achieve in their lives. At first, the desire to learn how to self-defend and lose weight can stand out as the main reason they are wearing a kimono. 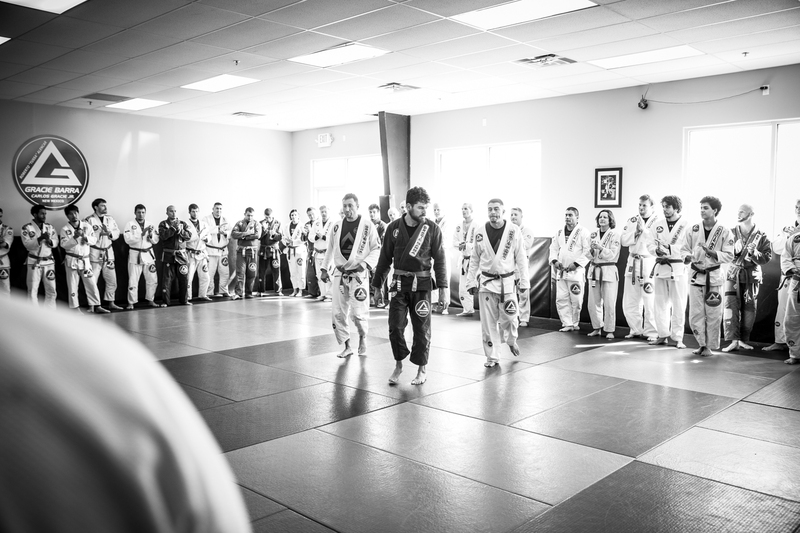 Although about 10 years ago it was not so common, today people who never imagined themselves practicing a martial art have found in jiu-jitsu a love for their lives. Women, children, elderly, executives and many other professionals make up a new group of students. More concerned about health and life, these types of people – not very common in the gym some time ago, have adopted the jiu-jitsu as a real lifestyle. A healthy diet, peaceful mind, daily training, sleep and care for the body. The change power of the gentle art is something that does not happen overnight. When wearing the kimono for the first time, the student may not know, but from that moment on, the essence of BJJ lifestyle starts acting upon them. In the first classes, they learn that strength is not always the best alternative and that after some time the knowledge acquired will stand over strength. People take this lesson to life. Brutality and ignorance often become extinct attitudes within practitioners. Realizing how far this fight can go is still something to be discovered in the future. But one thing is certain: far beyond the techniques, jiu-jitsu transforms human beings into super humans. OSS! 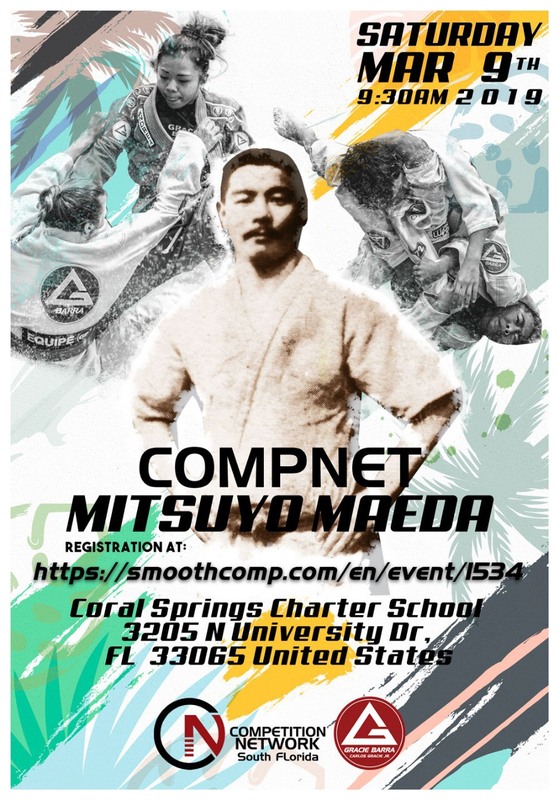 Prof. Ricardo Almeida – a former UFC fighter and MMA competitor who runs a successful academy in the USA – believes that parents should ask themselves different questions about the potential benefits of their children joining jiu-jitsu classes. For any parent asking, “Why should I enroll my kids in jiu-jitsu?” That is the wrong question to ask. Why should my Child Train Martial Arts? GB blog asked Prof. Fabio Villela about what kind of positive feedback have you heard from parents whose children have started jiu-jitsu? How Do Children Benefit From Jiu-jitsu? Prof Felipe Guedes loves teaching the kids jiu-jitsu program at his Gracie Barra school and shares his philosophy on how children can benefit from training jiu-jitsu. GB: Many parents are aware that enrolling their children in a martial arts program can help instill confidence, discipline, cooperation with others and respect in young people. What do you feel are the primary benefits for kids to be regularly attending jiu-jitsu classes? Prof. Felipe Guedes: “I’ve been teaching martial arts for kids since 2008, to hundreds of families. And I’ve seeing Jiu-jitsu helping their kids in so many ways! Every child is different and we use Jiu-jitsu to benefits each child the best way as possible. Some kids are in one side of the spectrum being very shy, for those the first benefits that the parents notice is the level of confidence becoming higher, they start to understand what they are capable of and not allowing anyone to take advantage of them and being comfortable on their own skin and even helping them to be more decisive and confident to make decisions. Their abilities to interact socially with other kids improve so much, and they are not afraid anymore of looking others in the eyes when having a conversation and having to even speak in public. Now for the other side of the spectrum, we see very physical and aggressive kids, learning how to control themselves, respect authority, and follow rules. They become more gentle with others and normally great leaders among their friends. So, we work on finding the healthy balance between building them up or mellowing them down. Q: What advice do you have for parents who are thinking of starting their children in jiu-jitsu classes? Prof. Felipe Guedes: “Please don’t think twice! Give your child a chance! They will thank you for the rest of their lives! Call the GB school near by and schedule a class, they can come and try a class for a couple of times and then make it a better educated decision on what we have to offer. The professors want to understand how Jiu-Jitsu can help your child and work from there. If your child is super shy, you can also bring him/her to the school and watch a class from the sidelines first.” Have fun!!! Please share this article if you know some kids who would like to try a Jiu-jitsu class.